L-R: Reed Birney, Cassie Beck, Jayne Houdyshell, Lauren Klein, Sarah Steele and Nick Mills in The Humans at the Ahmanson Theatre presented by Center Theatre Group. Written by Stephen Karam and directed by Joe Mantello, The Humans will run through July 29, 2018. 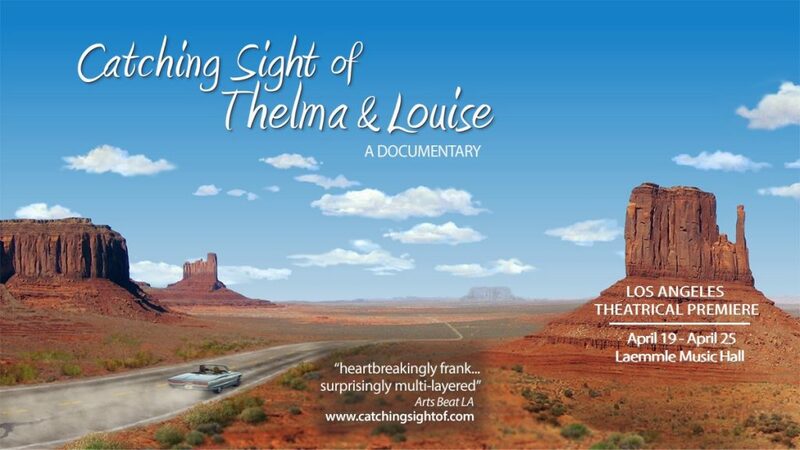 For tickets and information, please visit CenterTheatreGroup.org or call (213) 972-4400. Press Contact: [email protected] / (213) 972-7376. Photo by Lawrence K. Ho. 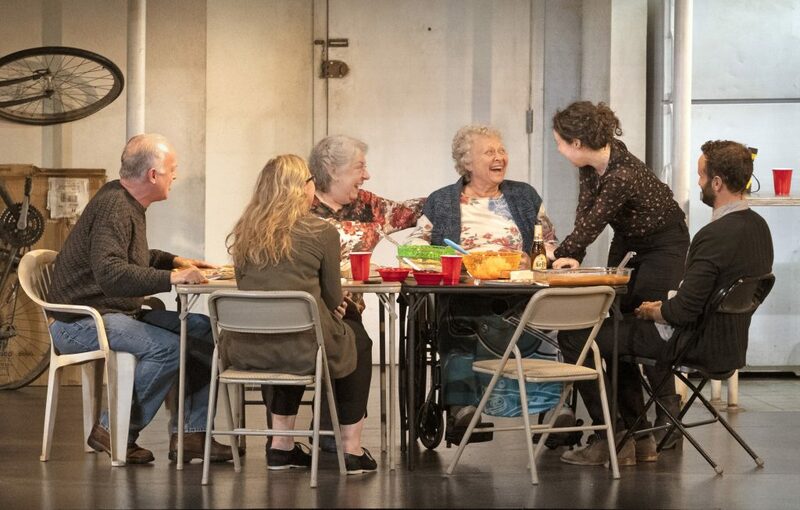 L-R: Reed Birney, Cassie Beck, Jayne Houdyshell, Lauren Klein, Sarah Steele and Nick Mills in The Humans at the Ahmanson Theatre presented by Center Theatre Group. Photo by Lawrence K. Ho. Finding the universal in the specific, The Humans is a quintessential slice-of-life stage drama about a middle class family from Pennsylvania. The 2016 Tony Award-winning Best Play written by Pulitzer Prize finalist Stephen Karam, and directed by Tony Award winner Joe Mantello, takes an event that most people in the US celebrate (Thanksgiving), typically with several generations of an Irish family gathering together. Instead of celebrating Thanksgiving in Pennsylvania, the Blake family has decided to congregate in Chinatown, Manhattan. The youngest daughter has just moved into a duplex apartment with her boyfriend, so the whole evening is fraught with confusion and unfamiliarity with the problematic locale of the couple’s quirky apartment in Lower Manhattan. As the family’s stories and situations are shared, and dark secrets revealed (symbolically represented by the light bulbs inopportunely extinguishing), a melancholy undertone begins to pervade. Over the course of this 100-minute, one-act play, tensions mount as we gain some insight into the individual lives of each member in this middle-class family sharing Thanksgiving together, trying to hold it together. Ultimately, the issues that the Blake family members are each facing are not that different to those in any other family. The multilevel set is impressive (scenic design is by David Zinn) but Karam’s play desperately needs a more intimate venue than the Ahmanson. Approximating natural, real-life conversation, the overlapping dialogue too often sounds muddy and incoherent. Nevertheless, Karam illuminates the elements of human life and nature in a way that is both heartbreakingly painful yet incredibly funny. Of course, the humor obscures the subtle digs family members tend to deliver. Add that to some closely held secrets being exposed, the raw power of emotional scars and life-altering decisions being divulged, and we get an evening that puts to the test just how strong this family’s ties actually are. The Humans is very much a dialogue and character-driven play, in which the characters are really only understood in the subtext of what they say, what others say about and to them, and in how they react to those around them (both verbally and physically). The cast of The Humans — especially Reed Birney and Jayne Houdyshell — all give tremendously good performances. Above all, The Humans is a drama that compels the audience to reflect on how being alive as human beings can be both hilarious and harrowing when we strive to connect with one another. 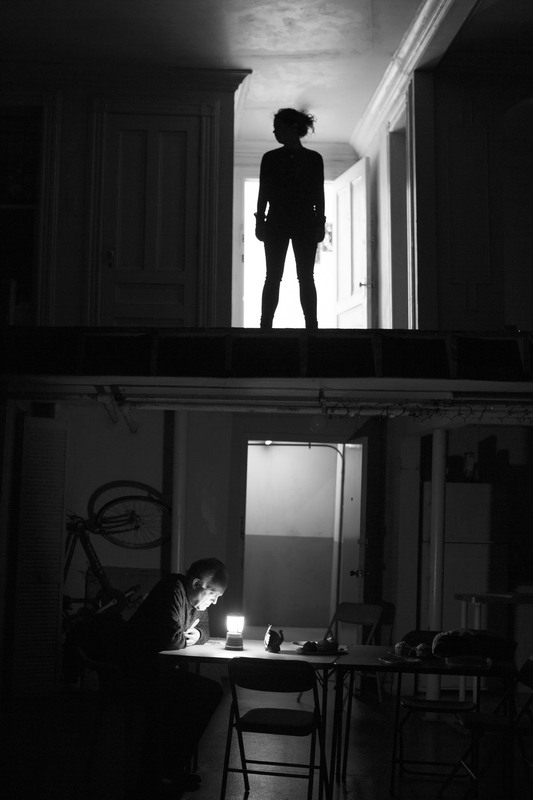 L-R: Reed Birney and Sarah Steele in the New York production of The Humans. Photo by Brigitte Lacombe. The Humans by Stephen Karam. Runs through Sunday, July 29, 2018.